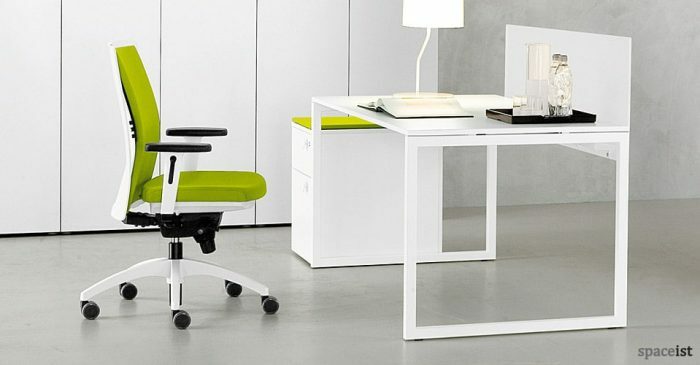 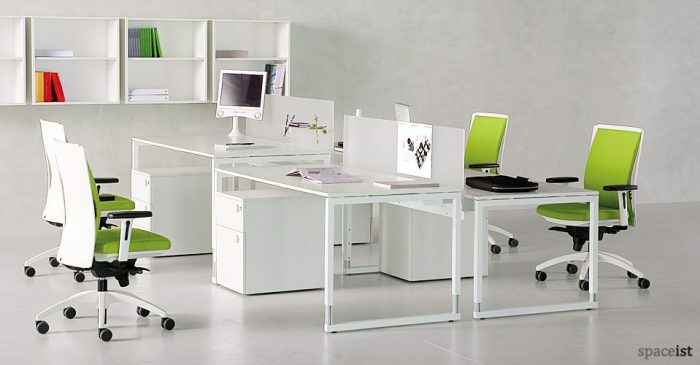 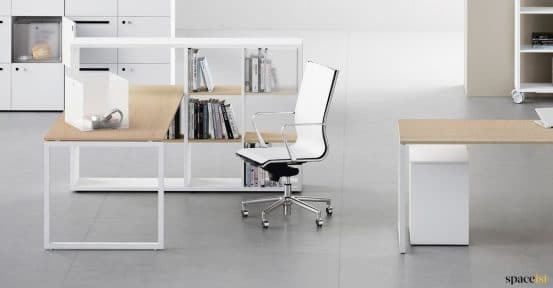 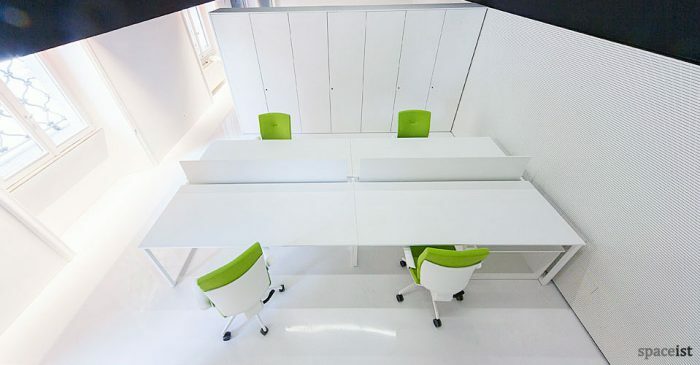 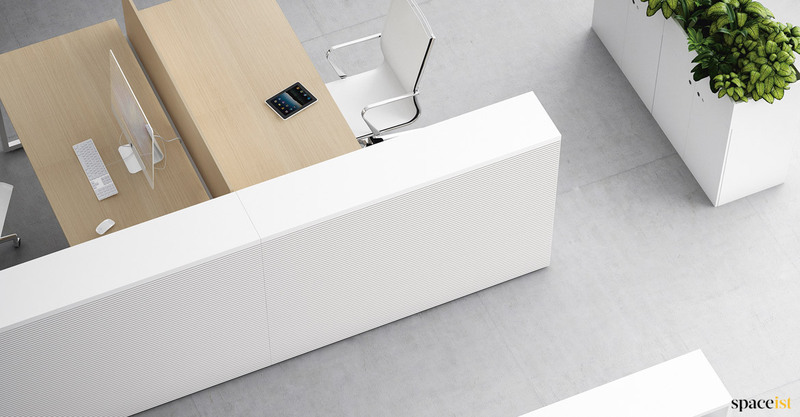 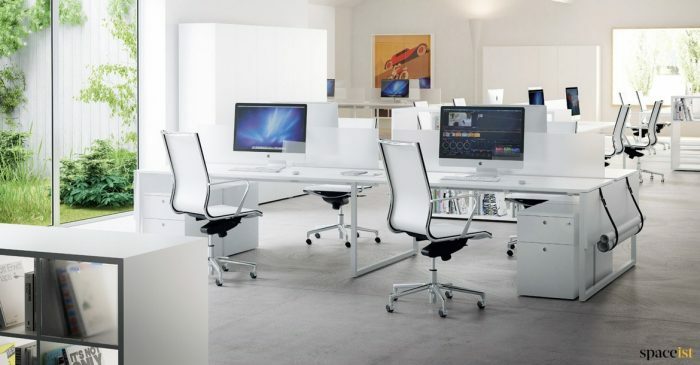 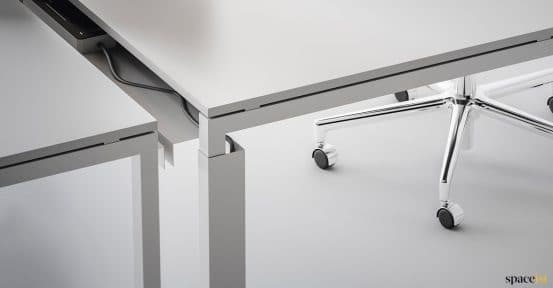 Categories: Frame desk range, Office desks, Office ranges, White office desks, Bench desks. 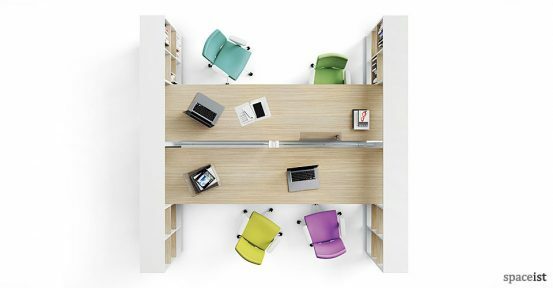 New Frame storage bench desk system. 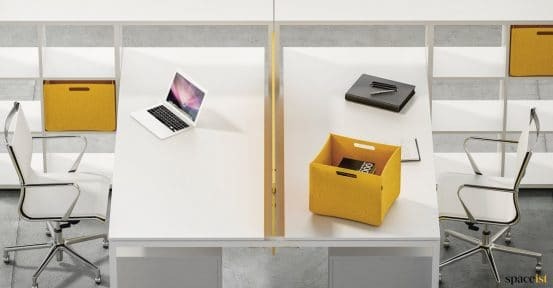 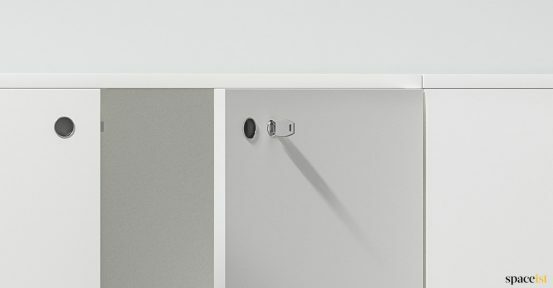 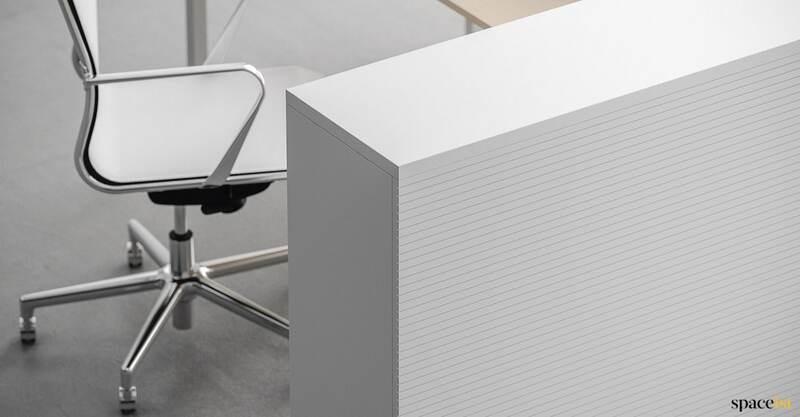 Hard wearing melamine desk top and storage comes in white, light grey, oak or walnut. 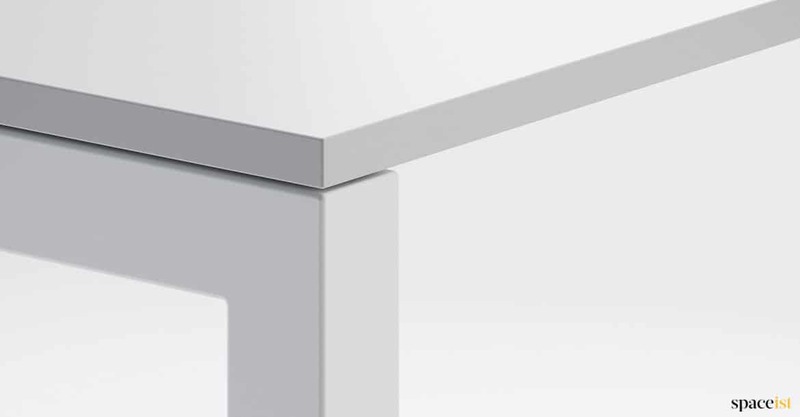 U-shaped leg comes in white or black. 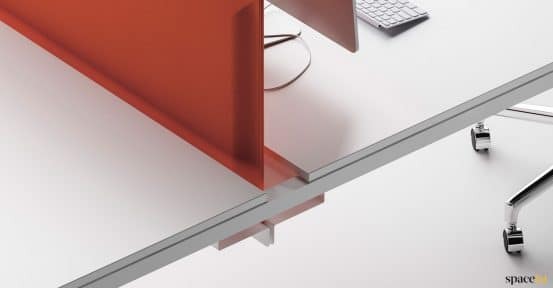 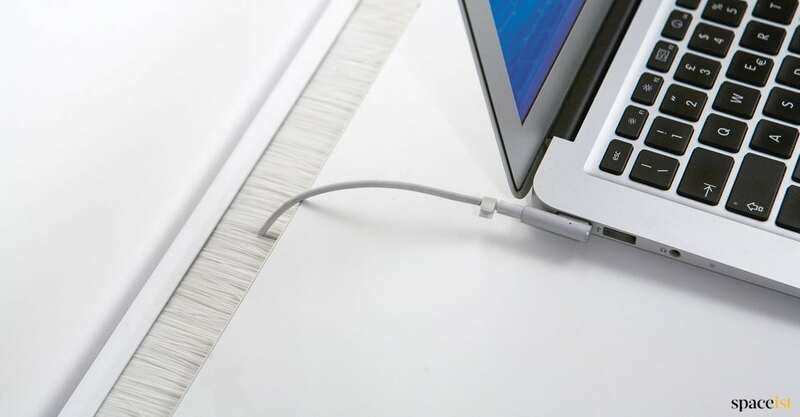 Optional perspex screen and integrated cable trough. 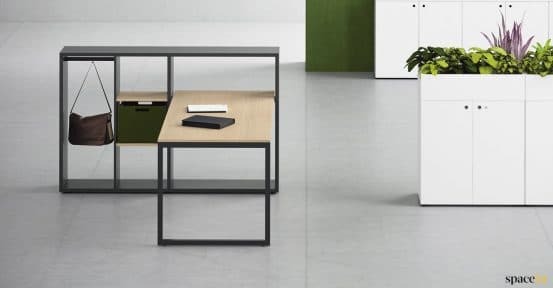 Desk is 98% recyclable.